We get really impressed when we see someone’s vision come into fruition, so much so when it comes to a food business. Sunny’s Shop is the brainchild of Aaron Ratanatray, the owner who decided to bring a piece of Indonesia to Adelaide. The shopfront looks like something from Bali, while the interior is decorated with timber walls and tropical plants. 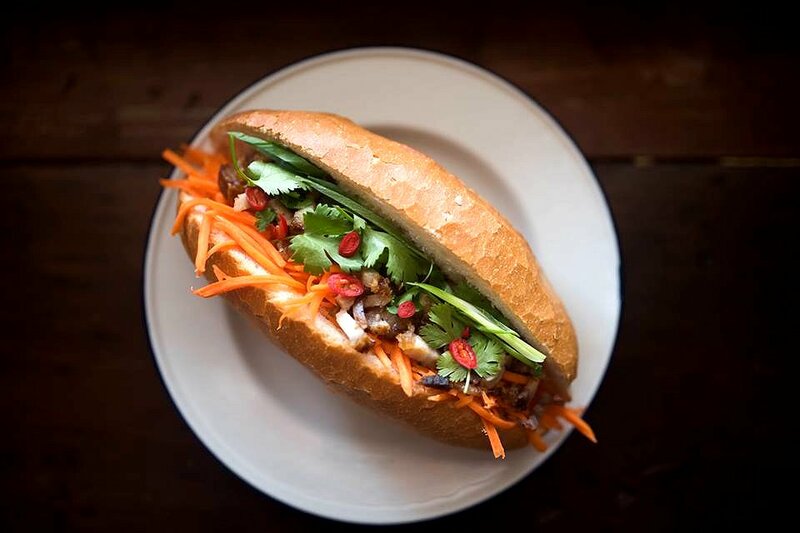 The lunchtime menu has all your street food favourites such as cold rolls, spring rolls, banh mi and salads, while the dinner menu, to be released on Monday, will be made up of more substantial offerings. For lunch, we had the Roast Pork Banh Mi. The roll was loaded with slices of juicy, well marinated roast pork that had perfectly crunchy skin. The pickled carrot was sweet and tangy, and its crunchiness was complemented by the fresh, crisp Asian herbs. The bread roll was freshly baked and was nice and crusty. Prospect Road has evolved over the years to become another cafe precinct. The opening of Sunny’s Shop within the area will provided authentic Asian street food to locals and visitors alike. We’ve already sampled some of the lunch menu and we were very impressed. We can’t wait to see what the dinner menu is like. If you’re down Prospect Road, make sure you check this place out. Sunny’s Shop is open from Monday to Saturday from 11am-2:30pm and from 5pm-8:30pm.